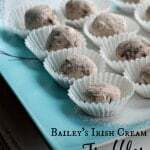 These rich and creamy Bailey’s Irish Cream Truffles are so good and perfect for any holiday or special occasion. 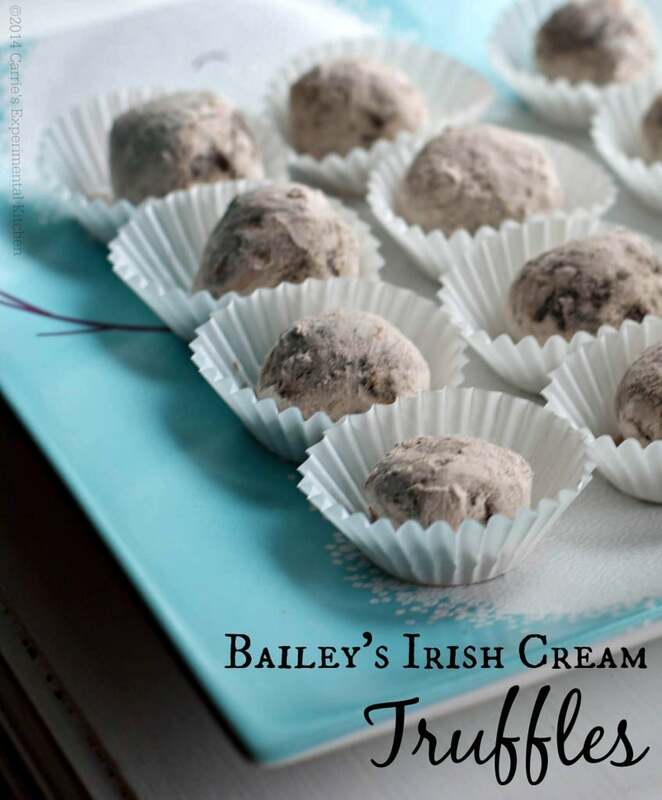 I’ve been making these Bailey’s Irish Cream Truffles for over 10 years now and somehow they never wound up here on the blog. I really can’t believe it considering that I make them EVERY year; especially for my niece and sister in law. They’re a “must have” on the Christmas Cookie Platter every year. I honestly can’t say I blame them. They’re incredibly creamy and decadent and SO easy to make too! I found this recipe written by Chef Judy Contino from Ambria Restaurant in Chicago, IL in a Bailey’s Irish Cream advertising insert in a magazine. Since I love the flavor of Bailey’s Irish Cream and had never made truffles at that time in my life, I decided to give them a try. Thankfully I did because this recipe has been the basis for many iterations and truffle experiments over the years. The key is to make the mixture the day before so it has time to set before rolling. Once you begin rolling them into balls, you need to work quickly as the chocolate becomes sticky the longer it’s left out of refrigeration. I tend to roll about half of the mixture, place the unrolled mixture back in the refrigerator; then coat in the sugar and cocoa powder mixture in two batches. 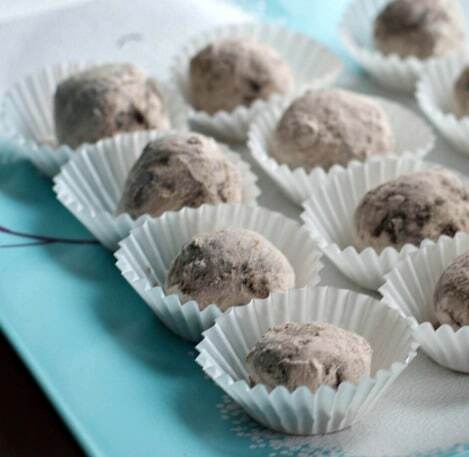 Once rolled in the sugar and cocoa powder mixture, place in a small paper liner to avoid touching other truffles. I hope you love these Bailey’s Irish Cream Truffles as much as we do. ~Enjoy! Slightly adapted from Chef Judy Contino. Work in two batches when rolling the mixture into balls to avoid them getting to sticky. Also place in a paper liner once coated. Add the Bailey's Irish Cream, chocolate and heavy cream to a small saucepan and melt over low heat. Whisk in the egg yolks until mixture thickens; then whisk in the butter. Refrigerate in an airtight container overnight our until firm. Mold the mixture into 3/4" balls and place on a baking sheet lined with parchment paper. Combine the cocoa powder and confectioners sugar in a small bowl; then roll the balls to coat. Store in an airtight container in the refrigerator for up to 3 days or freeze for up to 1 month. wonderful! i would eat them!